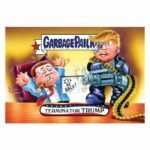 Topps is back at it this week with the presidential election set. 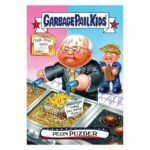 Today Topps launched Garbage Pail Kids Disg-Race to the White House cards #105-#108. 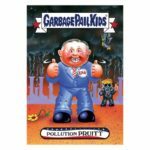 Today’s offering feature three GPK ca did and one Wacky Packages card. 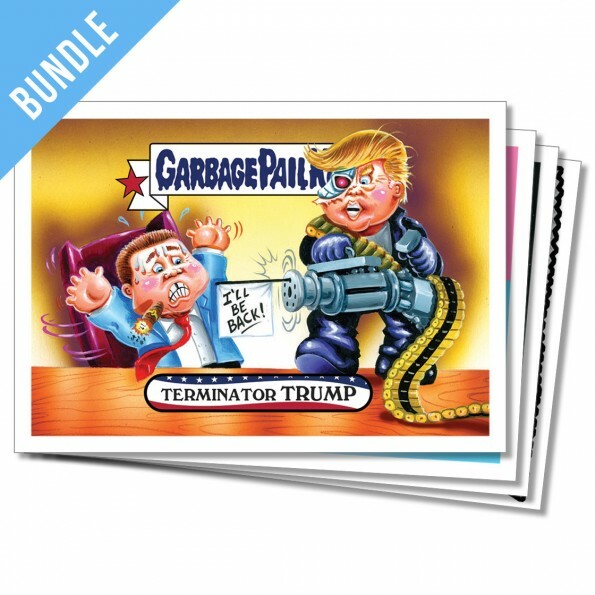 Trump’s new nominees are the main focus with these new cards. Each card can be purchased for $9.99 or in lots of 5 for $29.99, 10 for $49.99, or 20 for $79.99. A four card bundle featuring one of each card can be purchased for $29.99. 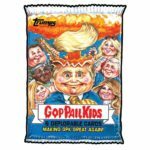 Free shipping is being offered via the SmartPost option. The cards are available for sale for 24 hours via topps.com. Topps will reveal the print run at the end of the sale. Here are pictures of the new cards.